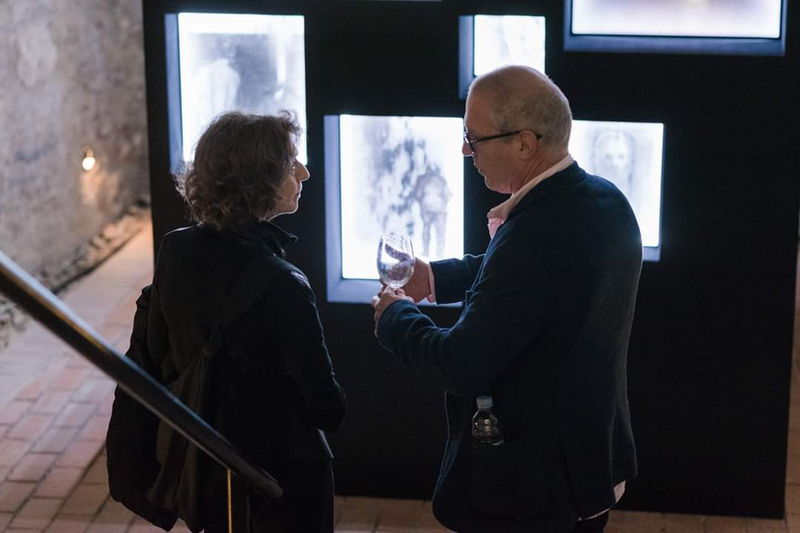 The following exhibition is to be realized within the framework of Budapest Art Week 2019 as central exhibition for the event. 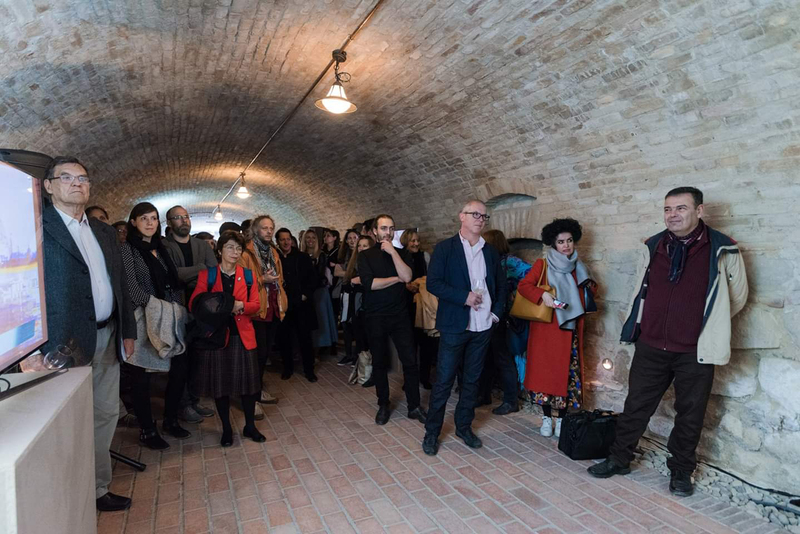 Budapest Art Week is a partner organisation of the Budapest Spring Festival, a cultural festival of international recognition for which the central theme of 2019 is ’Russia’ https://btf.hu/about_us. 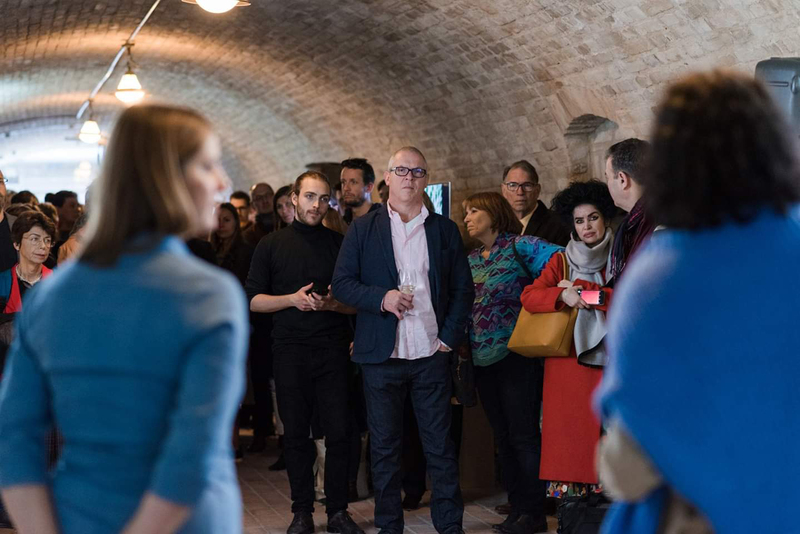 For the central exhibtion of BAW the venue is the spatious labyrinths (600 sqm) of Mikve, in the Buda Castle, Budapest. The space has been fully renovated, there is a light and heating system installed. The straight walls are average 3 meters high, and from that height there is a vault ceiling that curves. The “corridors” open into rooms of varying in size from c. 20-60 sqm. The space is surveilled by security guards, locks and gates are also of high security. Dates for the exhibition: 6-23 April 2019. The exhibition of contemporary Russian and Hungarian art In your trace. Inspirational forces in Russian and Hungarian contemporary art is devoted to the current situation in the Russian and Hungarian art community. The show brings together twenty-five artists/groups and six artist-run spaces from Russia and Hungary. In Russia, from the end of the 1990s onwards some influential artists gave rise to a specific artistic vision that inspired the now established next generation and also led to the creation of self-organized, non-governmental spaces and collectives. 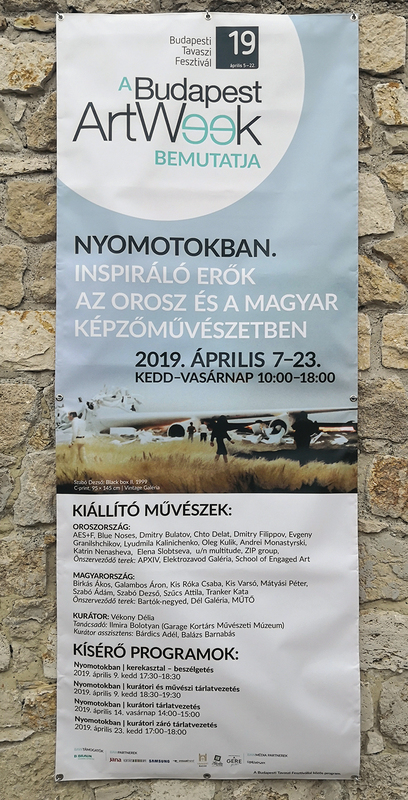 In Hungary, significant artists represent a particular Zeitgeist in art and affect the next generation either within a university context or simply through their pivotal artistic vision. The exhibition showcases influential figures, artists who are young and active now, and self organized spaces from both countries. Its aim is to show a current ars poetica that characterizes the art scene of both countries: a vision of art that might reflect on specific issues, nonetheless it transcends cultural references tied to a locality, revealing an artistic mindset shaped by a more global understanding of art, its common tools and language. Széplaky Gerda: Labirintusban, ÉS, MŰBÍRÁLAT - TÁRLAT - LXIII. évfolyam, 16. szám, 2019. április 18. Please, click the image to listen the fake riport with Stanley Kubrick.